Frequently our monthly top seller. 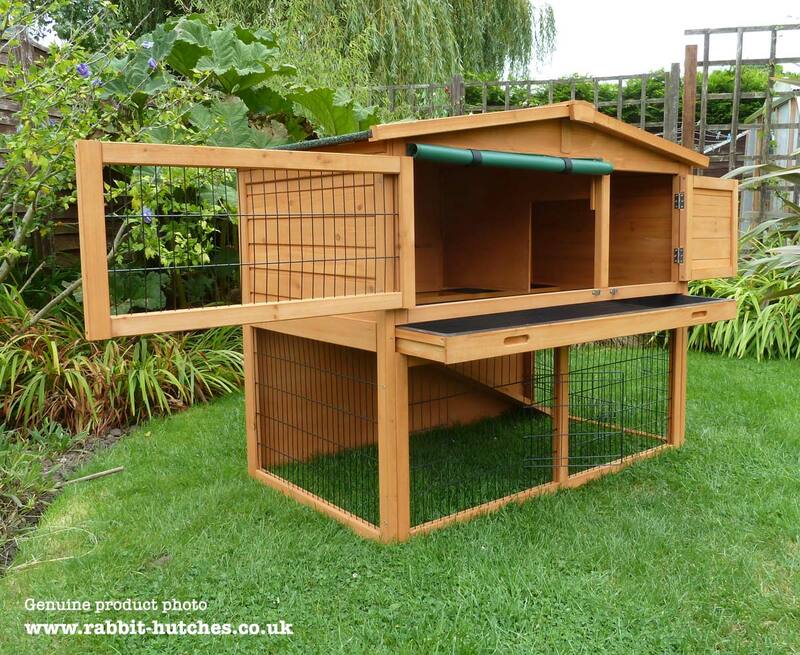 The Windsor is a good looking, solid hutch, designed with plenty of practical features and all at a low online price. 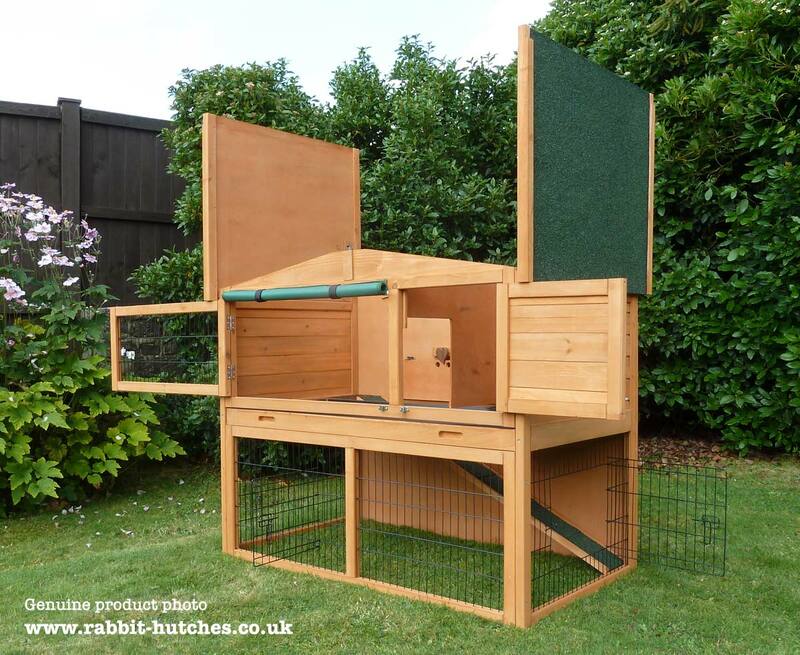 It has 2 fully opening doors which makes it very easy to access the living areas of the hutch. The doors are lockable with top-quality barrel locks, a feature many similar designs don't offer. The large slanting weatherproof roof keeps the rain out. The roof also opens up and can be held in place by two metal stays. 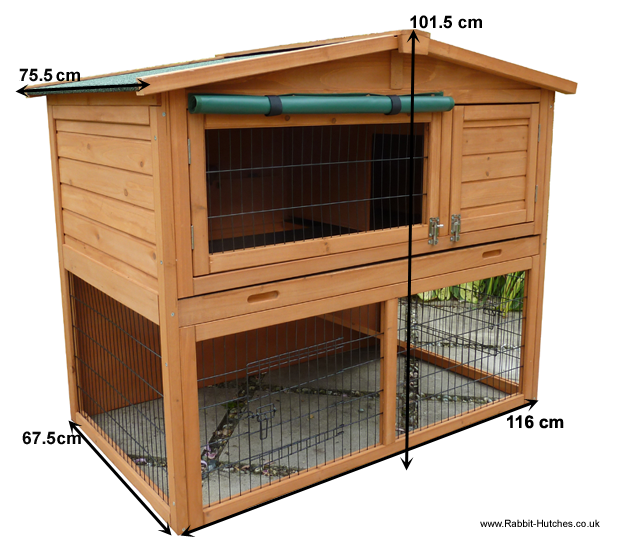 This gives you, even more, ways to access the hutch as well as allowing you to take a peek at your pet from above whenever you need or want. There is also a free and optional roll down weatherproof flap. This can be secured to cover the large open door and is ideal for when the weather is foul and there is driving rain. 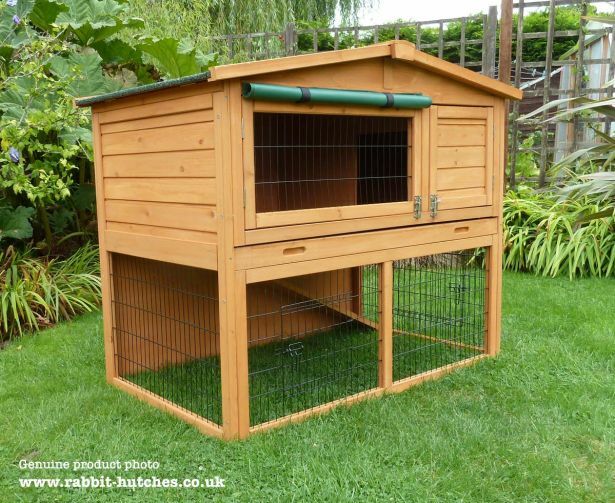 The hutch is fitted with strong heavy duty wire built into the frame for extra durability. The run underneath is accessible via a front opening door and there is also one on the side. Access to the lower run area is via a non-slip ramp. A large (fully removable) pull-out tray with a heavy duty plastic lining makes it easy to wipe down and clean. The top and bottom sections of this hutch can be closed off should you need, thanks to a handy trap door. Internal housing (in inches): L 44.5" x W 25.4" x H 20.8"
Internal housing (in inches): L 44.6" x W 25.4" x H 15.7"
1. Is there a Run for the Windsor? 2. 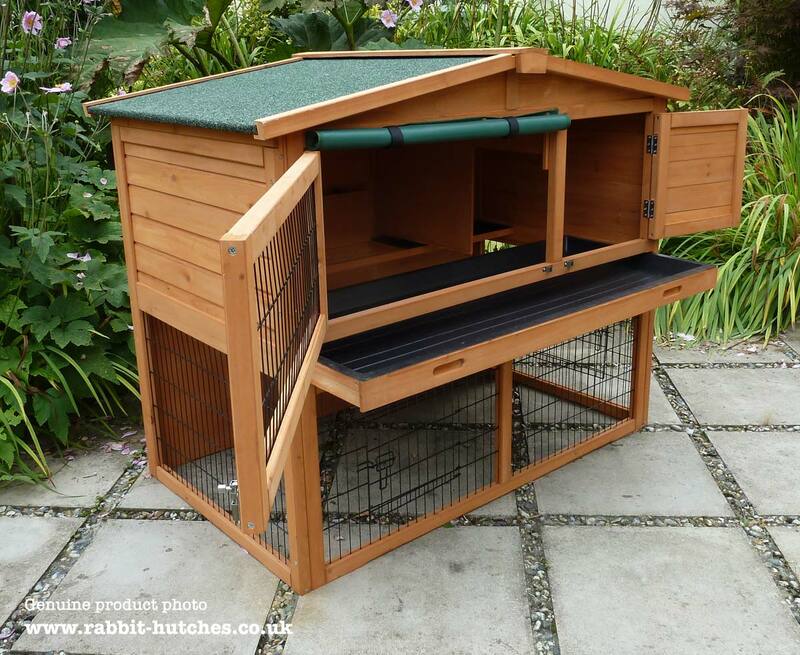 Is the Windsor Hutch big enough for two rabbits? Alot will depend on the breed of rabbit, how you intend to keep your rabbits and how much time they will get to interact outside the hutch. There is a huge difference in the amount of space a British Giant needs when you compare it to a Netherland Dwarf. 3. Can the Large Folding Run fit up against the Windsor? 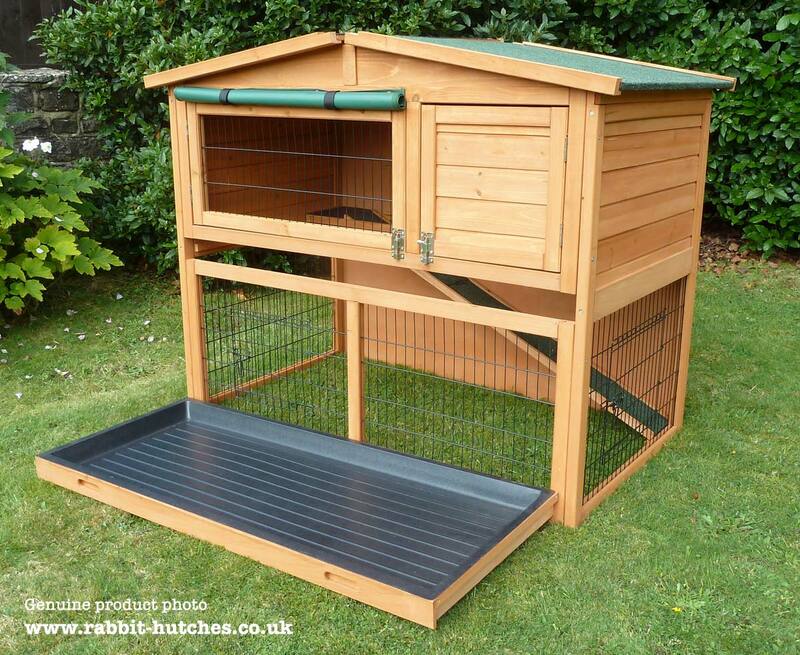 While it is possible to have the large folding run fit up against the Windsor hutch this will restrict the use of the pull out tray and other areas of the hutch. The Large Folding run was never really intended for this purpose and is designed as a stand alone run. We do actually have an add-on run that was designed to fit the Windsor hutch. 4. 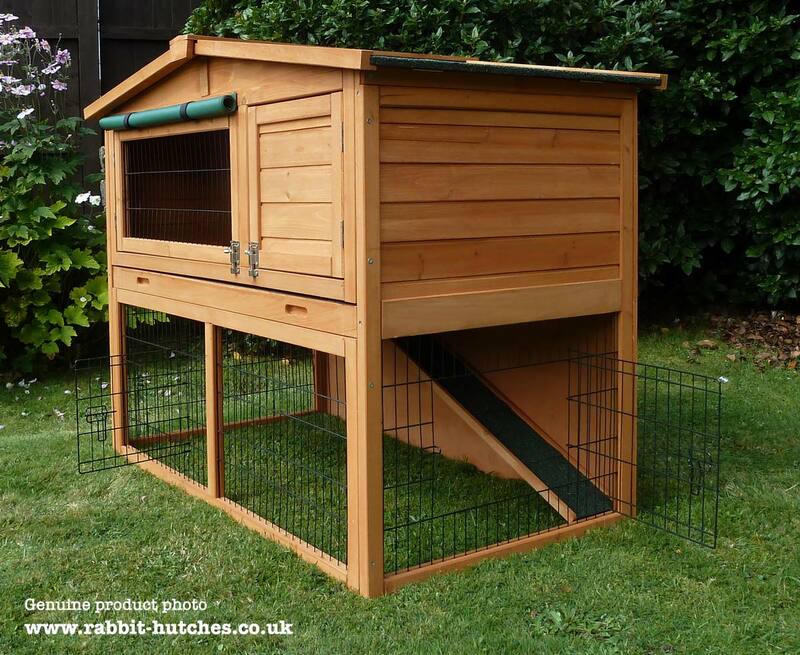 Is the Windsor Hutch fox proof? We would like to think that our Windsor Hutch is made to a higher standard than most other suppliers in its price range. While we have purposely used thicker, sturdier wood, wire and locks with the aim to make it as safe and secure as possible for your pets we cannot absolutely guarantee that foxes and other predators won’t try and target them. 5. Is the wood treated?